During my precinct walks I've been asked about the changes to "at-large" governing board trustee versus an "area trustee" representative. This change was made by the MVUSD in June in response to a lawsuit brought against the Madera school district in 2009. Prior to that roughly 90% of California school boards used at-large voting. The state's Voting Rights Act, enacted in 2002, bans at-large voting if there is evidence that it "impairs the ability" of a minority group "to elect candidates of its choice or its ability to influence the outcome of an election." On appeal in 2012, Madera was found in violation of the CVRA, and school boards across the state switched from "at large" to "trustee areas". 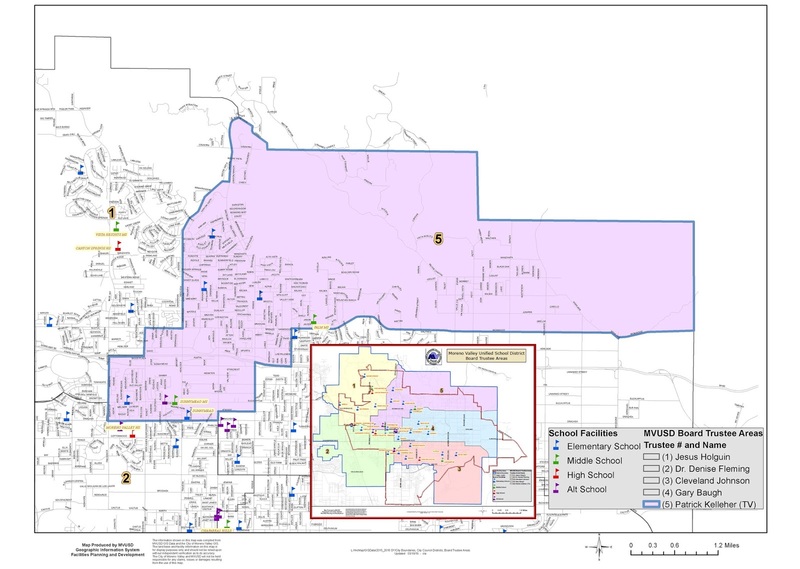 In the case of MVUSD, the school district influence was split into 5 trustee areas, each including a high school (or planned one), 2 middle schools, and 5 to 6 elementary schools beginning with the November 8, 2016 Election. Trustee Areas 2 and 5 are on the ballot, with Governing Board Trustees in Areas 1, 3, and 4 up for election in November 2018. 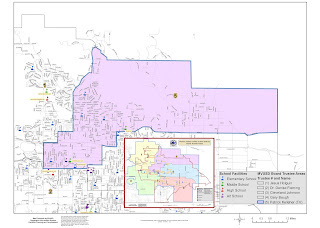 The map of Trustee Area 5 is shown here and the Area is loosely defined as the area north of Ironwood from Heacock east to the city limits, plus the area from Graham to Kitching north of CA60 to Ironwood, plus the area from Frederick to Heacock between CA60 and Dracaea. This TA area includes parts of City Council Districts 1 and 2.
and numerous 52xxx precincts which are county land north and east of the city boundaries. If you are registered to vote in these precincts, I ask that you vote George Schoelles for Governing Board Trustee Area 5 on November 8!